Hardly has the dust-storm raised by Prof. Atuguba's findings on the politically influenced verdicts of the Supreme Court judges subsided than we are getting concrete evidence to confirm his findings despite the petulant reaction from the Chief Justice, Justice Dotse and others unhappy with his work. "When reminded by one of the journalists that Dr. Ayine’s Supreme Court suit creates a certain cloud of uncertainty around the appointment, the Attorney General snorted: “There is no cloud as far as I am concerned.” (See https://www.ghanaweb.com/GhanaHomePage/NewsArchive/Supreme-Court-will-uphold-Martin-Amidu-s-appointment-AG-627921). How does she know in advance the verdict of the Supreme Court on a matter that it is yet to sit on? Pre-empting everything so easily and impudently too? You see, folks, the suit filed by Dr. Ayine against Martin Amidu hasn't even begun being heard; yet, this Attorney-General is certain of its outcome. How? (Matter of interest: Did Dr. Ayine vote in favour of Amidu, anyway? So far only Alhaji Suhuyini has boldly come out to say that he voted against him. If Dr. Ayine endorsed Amidu, what informed his decision, viewed against his suit. Just being curious here). Much has been said to suggest that by rushing to confirm Amidu as the Special Prosecutor without any regard for the suit against his eligibility on the basis of age, the Parliamentary Appointments Committee and Parliament itself violated the Constitution. This kind of impunity doesn't bode well for our democracy. I wonder why the Akufo-Addo government and its supporters think that this Special Prosecutor will be their redeemer; hence, the investment of everything in him to pursue their cause. Thus far, nothing shows that this government is made up of the "interrectuals" that we have been made to know. They are not the "men" that we want to have in place. What exactly has this government been able to do that we haven't seen before in Ghana? Even its free senior high school programme is fraught with problems, stoking fears that it cannot be sustained unless better approaches are adopted. Even there is theft of funds in the Schools Feeding Programme. So, what has this government been able to accomplish thus far to make any difference in the lives of Ghanaians? And is that what Martin Amidu will be used to accomplish? Arrant desperation to regain fast-fading traction? As if that's not enough, what the AG has spewed out further erodes public confidence in the independence of the Supreme Court judges. The AG has just pulled the rug from under them with this claim that they will dismiss Dr. Ayine's suit. We wait for that moment. 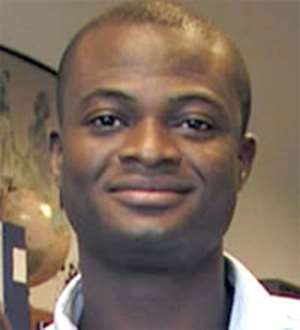 Prof. Atuguba, welcome home!! This author has authored 1325 publications on Modern Ghana. Where is the "change" that Ghanaians voted for at Election 2016? Fighting Corruption In Ghana: Who Leads? The Npp Petitioners Caught In Their Own Web Of Lies?